Want to watch HD TV but don’t want to pay the high costs of cable? Today is your lucky day…HD Clear Vision is a TV antenna that picks up HD signals from just about anywhere so you can watch HD TV for FREE! Remember the old rabbit ears antenna to get a signal on your TV? HD Clear Vision TV Antenna, as seen on TV, is that same idea only for a new generation of television viewers. Now you can get HD signals and watch all the HD channels broadcasted for free! Great to take with you when you travel, even on a boat! 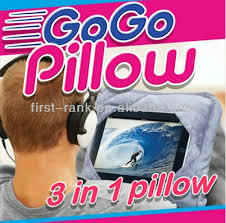 GoGo Pillow is the amazing, as seen on TV travel pillow for any tablet! GoGo Pillow allows you to use your tablet comfortably, anywhere you go! This 3 in 1 pillow transforms from securely holding your tablet to a travel neck pillow and a backpack! The GoGo Pillow straps not only make it a backpack for your own back, you can also strap them onto the back of a car seat so the kids in the back can watch movies while your on the road. How fantastic for mom and dad….you get to drive in peace! GoGo Pillow is perfect for use on the treadmill, on airplanes, on road trips (as long as you’re not driving, of course! ), or lying in bed. GoGo Pillow is now available at As Seen on TV Web Store in Gray, Blue, and for the super fashionista Pink Animal Print! FIND GREAT DEALS ON GOGO PILLOW HERE! GoGo Pillow – Great for Traveling with Your Tablet! We told you about GoGo Pillow a few weeks ago and we have been getting requests for them ever since! These are a must have for this travel season and here’s why…. GoGo Pillow works with any tablet, allowing you to take it anywhere and use your tablet comfortably and securely. Unzip GoGo Pillow and it transforms into a plush travel pillow. Great for road trips, on airplanes, or even can be use for low back support. But our favorite way to use GoGo Pillow is to strap the built in straps to the back of your car seat to watch movies! So perfect for road trips with little ones! Also great…now you can safely use your tablet on the treadmill or elliptical, chilling on the couch or lounge chair, even in bed you can use your tablet comfortably with GoGo Pillow. We here at asseenontvwebstore.com are super excited for GoGo Pillow to come in, which was originally scheduled for sometime in July but we have GoGo Pillows in Gray on the way to us now! We will let you know the moment they arrive! I so need the Side Socket! Behind my TV is a complete mess! I would imagine most peoples are. With the TV, DVD player, cable box, DVR box, Xbox, Wii, speakers, etc…it’s no wonder all the cords get tangled up back there! And my home office? Computer, fax machine, printer, scanner, stereo, you name it, also a mess! I haven’t found a multi plug outlet that really solved my issues until Side Socket. Side Socket turns 2 outlets into 6, and the best part is it has a swivel head so you can keep all those cords and your furniture flush against the wall. With other outlets you’re losing a good 2-3 inches along every wall because of the plugs sticking out (that adds up to a lot of space! ), not to mention that it makes it so hard to get to the plugs without pulling your furniture out. With Side Socket’s swivel head feature, you can access the plugs, without moving your furniture. Side Socket is scheduled to be released in July, we will definitely keep you posted on this one. Follow our blog for the latest updates or check back often. iLid iPhone Wallet is the THINNEST iPhone Wallet ever! It might be tiny but it sure does hold a lot…your iPhone 4 or 4s, credit cards, cash, and even your keys! You will not need to take anything else with you except your iLid! If it’s not obvious, I love this iPhone Wallet. What makes this iPhone wallet different than others is you can still access all your iPhone’s functions even with it in the wallet. And, this one features a built in money clip to keep all your goods where they should be…in your wallet. Slim, light weight, and stylish, iLid is the way to go in these “on the go” times! Click the link iLid to get yours today! Slim, sleek, and stylish, these iPhone Wallets are made from Vegan Leather for iPhone 4 and 4s. 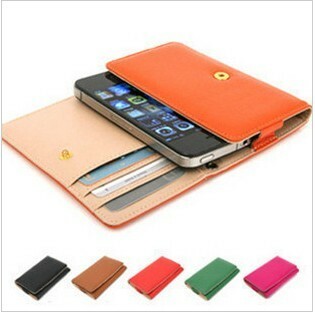 On one side is a case for your iPhone, to protect it from scratches, cracks, smudges, etc. 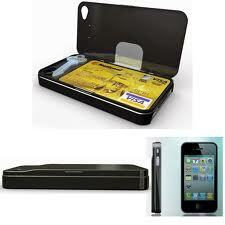 On the other side are 3 slots to hold your credit cards, or for cash, business cards, gift cards, and more. We here at As Seen on TV Web Store love these iPhone Wallets because they’re light weight and hold just what you need when running around town for errands or a night out. No more feeling weighed down with a wallet and iPhone case, these will streamline your look and make your life just a little easier!